John Cornford, English volunteer killed one day after his 21st birthday. The Nationalist troops are controlling small towns throughout southern Spain. Around 4,000 men, all Moroccan soldiers and Spanish troops, take the town of Bujalance, right in the centre of southern Spain, near Córdoba. The Nationalists are still trying to occupy the town of Boadilla del Monte, in constant battle with the XII and XIV International Brigades, just outside Madrid. General Orgaz Yoldi leading the Nationalist troops decides to end the stalemate and retreats, leaving the Corunna Road into Madrid again in Republican hands. The same troops who occupied Bujalance move on to take control of the nearby towns of Pedro Abad and Villafranca de Córdoba. This leads the Republicans to set up the new Army of the South under General Fernando Martínez-Monje Restoy, with International Brigades dispatched to the Córdoba front. Thousands of Italian volunteers arrive in Nationalist-held Cádiz, ready to help the Nationalists’ hold on the south of Spain. Some 600 men of the 9th company of the XIV International Brigade battle Nationalist troops at the town of Villa del Rio in Córdoba, and 400 volunteer men are killed. The remaining men move on to the nearby town of Montoro. Thousands of Spanish fighters and international volunteers spend Christmas in trenches. The country is awash with refugees fleeing continuous violence all over the nation and hide through the Christmas period in refugee camps or in subway stations, many in bitter conditions. Nationalist troops take the town of Montoro, after fighting off and killing many left from the 9th company of the XIV International Brigades. The two-day Battle of Lopera begins. The tiny town in the Jaén province sees the XIV International Brigades attack to take control of the area. The initial attack fails and 300 of the 3,000 initial force are quickly killed, another 600 seriously wounded. General Walter’s men have not had time to be trained in Albacete and have no communication and no air or ground support. Still, they battle the 4,000 Nationalists who have machine guns and other artillery. 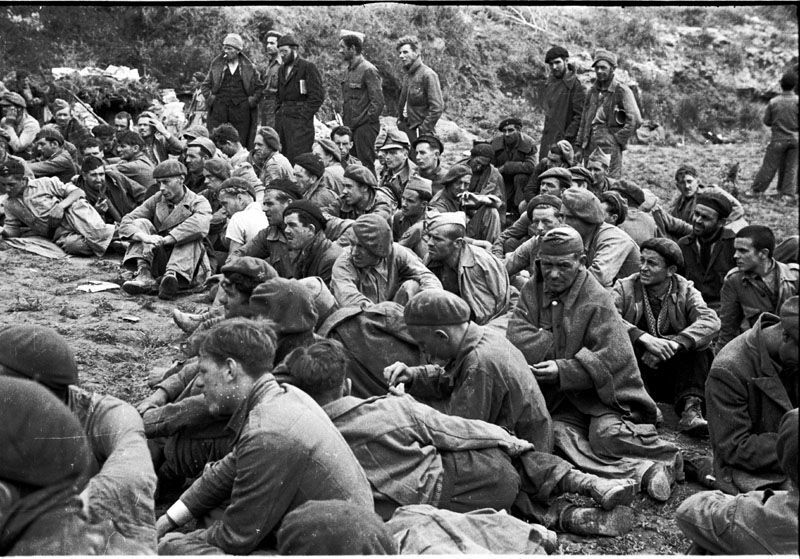 Fighting continues for 36 hours before the International Brigades are forced to retreat, after gaining no ground, though 200 Nationalists are killed. The English 10th battalion of the XIV International Brigades lose 78 of their 145 men, including Ralph Winston Fox, a British journalist, novelist and historian, famous for writing the biography of Genghis Khan. Also among the dead is poet John Cornford, great-grandson of Charles Darwin and well-known communist, just a day after he turns 21. The bodies of the volunteers still remain buried on the lonely hillside where they died. The French Marseillaise 12th battalion of the Brigade have their commander, Major Gaston Delasalle, detained by André Marty, the Political Commissar of the International Brigades, and leading man in the French Communist Party. Marty accuses Delasalle of gross incompetence, resulting in the decimation of his men. Without evidence, Delasalle is also accused of being a fascist spy and of cowardice during battle. Marty arranges a quick court-martial and Delasalle is executed by firing squad. While no one speaks in Delasalle’s defence, Marty has many afraid of him and his ‘mentally sick’ behaviour, though he is regarded by most as a hero and revolutionary. General Orgaz Yoldi receives reinforcements after the battle of Boadilla del Monte a week earlier, and readies another attack, which will become known as Battle of the Fog in early January. During this period, the Republican and the International Brigades are trying to regroup after heavy losses, and have little in the way of help. Author George Orwell enlists himself in a Republican POUM (Workers’ Party of Marxist Unification) militia to fight against fascism. The town of Pocuna, of around 5,000 people, isolated 50km from Córdoba and 40km from Jaén, is taken by the Nationalists. Due to taking this prime location in the olive-growing region, they are able to slow their advance for a quick break as the Republicans are overwhelmingly losing the region. Famous Spanish writer and professor Miguel de Unamuno dies at home in Salamanca, where he has been under house arrest for speaking against Franco at Salamanca University months earlier. Both of his sons, Fernando and Ramón de Unamuno, instantly sign up to fight the fascists. From January 1, posts will return to weekly.